Paris: Chez J.B.G. Musier, 1788. Full calf. Very Good. A tight, well-preserved copy of the 1788 1st edition, in its original full-calf binding. Bright gilt-titling and elaborate gilt-tooled design within the spine's compartments. Light chipping along the rear panel's lower-edge, very light scuffing to the panels. Just a touch of writing at the blank frontis, otherwise the pages are remarkably bright and clean. 12mo, wonderful marbled endpapers and 5 fold-out maps at the rear (including 100 figures, a number of them engraved illustrations). 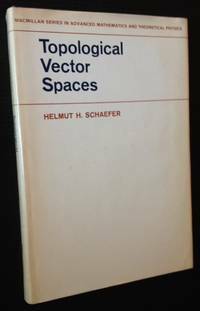 New York: Springer Verlag, 1999. Hardcover. Fine. A pristine copy of the 1999 1st American edition. Tight and Fine in the publisher's (Springer-Verlag's) iconic yellow and white boards. Graduate Texts in Mathematics #192. London: Oxford University Press, 1947. Cloth. Very Good +. 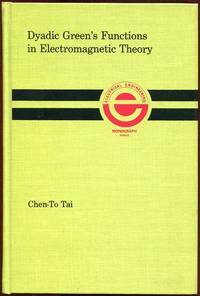 A very solid copy of the 1947 3rd edition of Paul Dirac's seminal work on quantum mechanics. Tight and VG to VG+ in its blue cloth, with light fading along the spine and light offsetting at the endsheets. Octavo, 311 pgs. 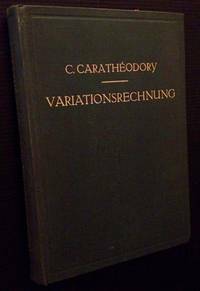 The original edition was published in 1930. Woodbridge, CT: Ox Bow Press, 1979. Cloth. Near Fine. A near pristine copy of this handsome 1979 reprint, pubished by Ox Bow Press of Woodbridge, CT. Tight and Near Fine in its wine-red cloth, with bright gilt-titling along the spine. Very light bumping at the rear panel's lower-edge, otherwise immaculate. Thick quarto, 641 pgs. Venice: Battista Tramontin, 1689. Vellum. Very Good -. 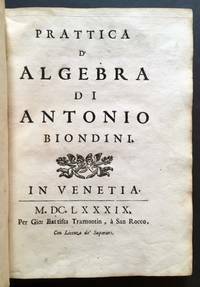 The very scarce 1689 original printing of Antonio Biondini's "Prattica D'Algebra" ("Treatise of Algebra"). Published in Venice in its commonly-read Latin, the original vellum binding is still strong and firmly in place. Forgivable spotting and staining to the panels, internally the pages are surprisingly clean and bright. Octavo, decorative mottled edges. (Cited in "History of Mathematics", Vol. II, pg. 409, David Eugene Smith, Ginn and Company, Boston, 1923). Cambridge University Press, 2000. Cloth. Near Fine. A crisp, tight copy of the 2000 1st edition. Clean and Near Fine in its navy-blue cloth. Octavo, 265 pgs. Cambridge University Press, 2007. Hardcover. Fine. A tight, crisp copy of the 2007 1st edition. Solid and Near Fine in its printed dark-gray cloth, with just a touch of scuffing to the rear panel. Octavo, 316 pgs. 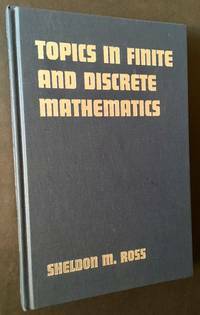 #104 in the "Cambridge Studies in Adavanced Mathematics" series. London: The Oxford University Press, 1947. Cloth. Near Fine. The 1947 3rd edition. An unusual Association copy. From the library of --and signed at the front free endpaper by-- renowned mathematician (PhD Duke, Prof. U. of Kentucky) Jack Roth, who also was a highly-accomplished painter and an important member of the Abstract Expressionists in New York along with Willem De Kooning, Jackson Pollock, Franz Kline, etc. A tight, very solid copy to boot. Clean and Near Fine in its Oxford-blue cloth, with bright gilt-lettering and design along the front panel. Octavo, 311 pgs. Leipzig: B.G. 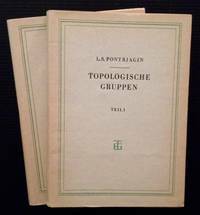 Teubner Verlagsgesellschaft, 1957. Hardcover. Near Fine/Fine. A very solid copy of this 1957 reprint, complete in 2 volumes. Both volumes clean and Near Fine in crisp, Near Fine dustjackets. Octavos, 571 pgs. all told. Leipzig and Berlin: Verlag und Druck von B.G. Teubner, 1935. Cloth. Near Fine. A very solid copy of the 1935 1st edition. Tight and Near Fine in its green cloth, with bright gilt-lettering to the front panel and spine. Octavo, 407 pgs. plus publisher's additional offerings of Physics and Math titles at the rear. 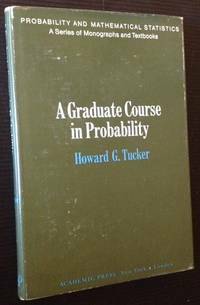 New York: Academic Press, 1974. Cloth. Very Good +. 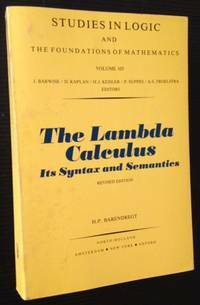 A tight copy of the 1974 1st edition. Solid and VG+ in its green cloth, with light spotting --and very light rubbing-- at the panels. Thick octavo, 451 pgs. From the library of --and signed on the front free endpaper by-- Jack Roth, renowned mathematician (PhD Duke, Prof. U. of Kentucky) and Abstract Expressionist painter. 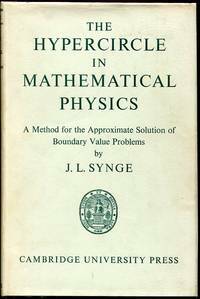 Princeton University Press, 1951. Original wraps. Very Good. A very unusual Association copy. 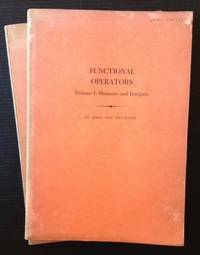 FROM THE LIBRARY OF --AND SIGNED IN BOTH VOLUMES BY-- JACK ROTH, THE RENOWNED MATHEMATICIAN (PHD DUKE, PROF. U. OF KENTUCKY) WHO, INCREDIBLY, WAS ALSO A HIGHLY-ACCOMPLISHED ABSTRACT EXPRESSIONIST PAINTER AND AN IMPORTANT NEW YORK COLLEAGUE OF DEKOONING, POLLOCK, FRANZ KLINE, ETC.). A CURIOUS FIGURE AND A MAN WHO INCORPORATED ARCANE PRINCIPLES OF MATHEMATICS (ASYMMETRY, PROPORTION, ETC.) IN MANY OF HIS PAINTINGS. 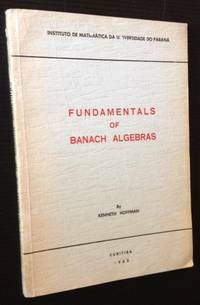 A solid copy to boot of the 1961 stated 2nd printings, complete in 2 volumes. Both octavo volumes tight and VG in their orange wrappers, with light wear along the panel edges. Vol. I: Measures and Integrals; Vol. II: The Geometry of Orthogonal Spaces. 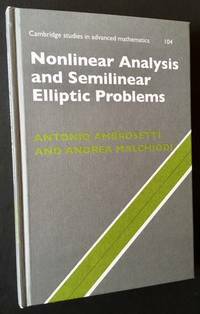 #21 and #22 in Princeton's formidable "Annals of Mathematics Studies" series. New York: Macmillan, 1966. Cloth. Near Fine/Very Good +. A very solid copy of the 1966 1st edition. 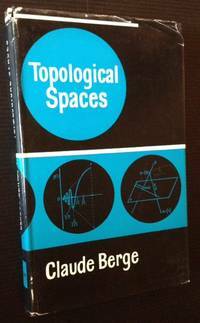 Clean and Near Fine in a bright, VG+ dustjacket, with mild darkening along the spine. Octavo, from the library of (and signed by) Jack Roth, renowned mathematician (PhD Duke, Prof. U. of Kentucky) and Abstract Expressionist painter. Curitiba, Brazil: Instituto de Matematica da Universidade do Parana, 1962. Original wraps. Near Fine. A very solid copy of this 1962 Brazilian edition (which is published in English). Clean and VG+ to Near Fine in its printed wrappers. Octavo, 116 pgs. New York: Macmillan, 1963. Hardcover. Near Fine/Very Good. The 1963 stated 1st American edition. From the library of --and signed by-- renowned mathematician (PhD Duke, Prof. U. of Kentucky) Jack Roth, who, incredibly, was also a highly-regarded painter and member of the Abstract Expressionists. Clean and Near Fine in a bright, price-intact, VG dustjacket, with light chipping and creasing at the tips and along the panel edges. Octavo, translated from its original French by E.M. Patterson. New York: Academic Press, Inc, 1967. Cloth. Near Fine/Near Fine. A very solid copy of the 1967 1st edition. Clean and Near Fine in a bright, VG+ to Near Fine dustjacket, with light rubbing to the front panel and very light wear along the spine crown. Octavo, 273 pgs. Paris: Societe Mathematique de France, 1960. Original wraps. Near Fine. 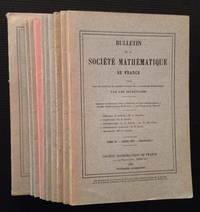 An impressive collection of 11 issues of Bulletin de la Societe Mathematique de France, ranging from 1957 thru 1960. All 11 octavo issues clean and Near Fine in their printed wrappers. The issues are as follows: Tome 85 (1957)--4 fascicules (volumes); Tome 86 (1958)--4 fascicules (volumes), including "special" fascicule IV; Tome 87 (1959); and Tome 88 (1960)--2 fascicules (volumes). Amsterdam: North-Holland, 1985. Original wraps. Very Good. A solid copy of the 1985 second printing. Tight and VG in its printed yellow wrappers, with light spotting along the spine and at the front panel. Thick octavo, 621 pgs. Vol. 103 in North-Holland's formidable "Studies in Logic and the Foundations of Mathematics" series. 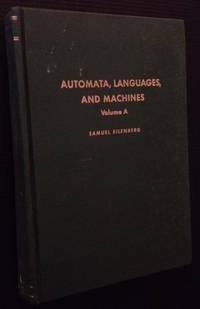 Cambridge University Press, 1957. Cloth. Fine/Near Fine. A very sharp copy of the 1959 1st edition. Clean and Fine in a bright, Near Fine dustjacket. 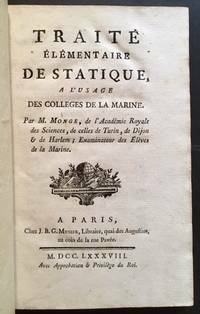 Octavo, 424 pgs. Scranton, PA: Intext Educational Publishers, 1971. Cloth. Fine. 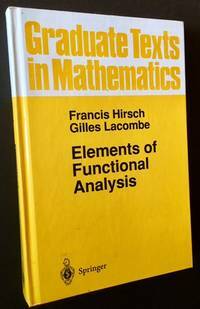 A very attractive copy of the 1971 1st edition. Clean and Fine in its light-green cloth. Octavo, 246 pgs.